A Wild Western adventure starring deputy femanon and Braeburn. After a cruise ship set for an archaeological dig gets sunk, a unicorn and diamond dog try to survive in an ancient temple full of secrets and death. 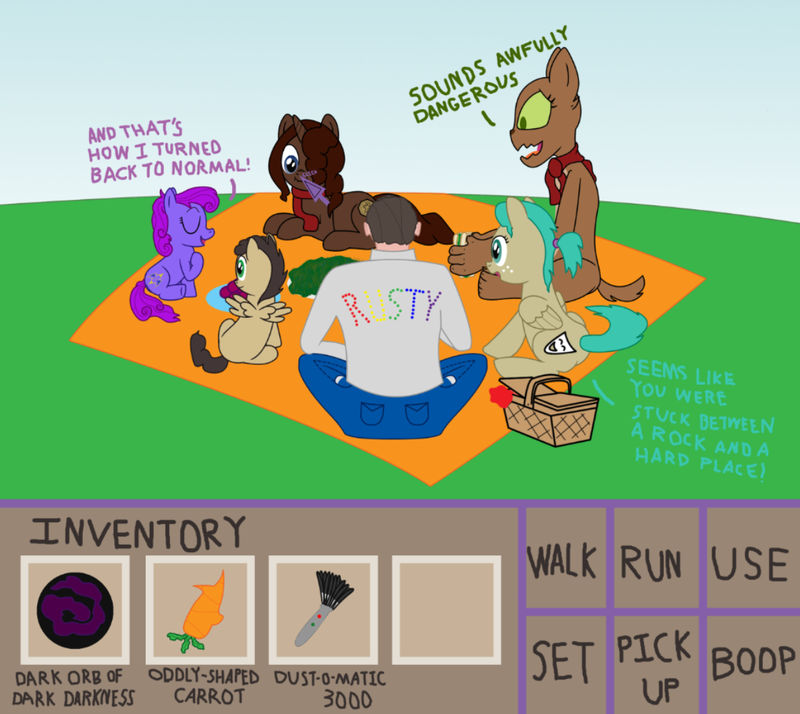 You are Raisin, a little purple filly that often finds herself in extremely perilous situations. Luckily, she can wind back time with her trusty doll, Hayseed, while she tries to save Equestria from disaster. Save Twilight. Romance Celestia. Stop the rebellion. Not too much for one man, is it? Anon and Lyra are having an affair behind Bonbon's back and now Lyra's pregnant with what could be the first pony/human hybrid. This, in a world where pony/human miscegenation is looked down upon by either species. Pinkie Pie, having lived in a specious existence, is in pursuit for the truth, but only the determined can truly perservere in this peculiar ordeal. Anon works as a detective in ponyville with monster mare shenanigans. /mlp/ makes a pony civilization! You can guess the results.